A Jewish American woman and an Ethiopian refugee reconcile Austria’s past with its present. Rachel, a Jewish-American woman, moves to Vienna, Austria to begin a new job at the International Atomic Energy Agency’s headquarters. While in Austria, she hopes to rediscover her family’s past and further pursue her dreams of travel. During this time of exploration, she comes to realize that the memories and recent history of the Holocaust are not easy issues for Austrians to acknowledge, especially when the infamous WWII Flak Towers ominously loom over the city. The Austrian insistence to keep these World War II remnants intact belies a deeper national emotion. With Vienna’s omnipotent flak towers observing Rachel’s every move, cultural memories overtake her senses. She hears the crunch of Gestapo boots running on the hardwood steps and across the floor of her pre-war building, she sees a vestige of her great-grandmother, killed in a concentration camp, walking in a crowd, she imagines the sounds and sees the people of a bygone era. As refugees from war-torn Syria descend upon the central European republic, the rise of the far-right political party, the FPÖ, inheritor of Hitler’s xenophobic rhetoric, grows through the country. Rachel is forced to face her fears and those of the country in which she now lives. RACHEL, a Jewish-American woman who works for the IAEA in Vienna, Austria, is saddened to be away from her family, yet excited to be living in a new country. She works hard and struggles to make this new location her home. Surrounded by the daily reminders of Austria’s past Holocaust involvement, she delves into her family’s roots and discovers her family’s history intertwined with the Holocaust. Rachel’s life, enmeshed with echoes of the past, is soon overtaken by the present as the Arab refugee crisis grows. With the Austrian far-right political movement gaining power, Rachel’s inner fears are born out as anti refugee statements begin to circulate. 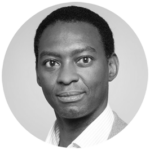 YITZHAK, an Ethiopian refugee and now a professor at the University of Vienna, emigrated to Austria in the early 1990’s to escape the rise of religious persecution. More than 25 years later, he has developed a deep love for his adopted Austria yet, as an African, he often experiences racism. He innately understands Rachel’s fears yet with his unique outlook as a former refugee, he maintains a positive attitude, believing that Austrians are a righteous people who, with guidance, will not repeat their past mistakes. PHILLIPA, a British physicist, working as a research executive for the IAEA in Vienna, she understands the necessity for diplomacy and keeping her staff involved. Both a scientist and a business executive, she works hard and expects those around her to do the same, although she shows her humanity at unexpected moments. Sara has worked in all phases of film making, from casting through post production, and has bolstered her creative and business skills working on soap operas, movies-of-the-week, reality shows, scripted programming, music videos, commercials, shorts, and feature films. Her career behind the camera began on NBC’s KINGS in post-production. Sara has been constantly working since then, casting seasons 6 and 7 of Food Network’s CHOPPED, and working in production on Disney’s THE LAST SONG and Paramount’s MEAN GIRLS 2. 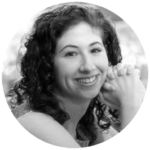 Sara was the Business and Legal Affairs Coordinator at Atlas Media Corp, an independent television producer in New York, where she worked on TV shows for E! Entertainment, MTV, National Geographic, Discovery Channel, and more. In 2014, Sara won Best Original Concept at the Williamsburg International Film Festival for her web series ECHO HELIX. Beyond her career in the US, Sara has worked on a number of commercials, shorts, and films in Austria and produced feature films in France including THE ASSIGNMENT 1.0 and KILLING UNCLE ROMAN. Michael Hofstein, Principal/Partner of EuroPacific Films with over 30 years entertainment and related business experience, produced his first feature film THE LEARNING CURVE in 1997, starring Steven Bauer and distributed by MGM. Forming EuroPacific Films with partners Marian Hofstein and Stephane Guenin, he has since produced each of EuroPacific Films’ features. Michael’s early career developed within the camera department at Paramount Studios in Los Angeles, later becoming a Director of Photography at 20th Century Fox where he was positioned as a commercial director, and soon after, began writing and producing. He directed the hit European action television series, ACAPULCO H.E.A.T. and was director of photography on many US domestic and international features. 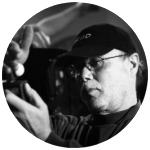 Michael’s work includes RUSH HOUR, DRACULA, MASK OF ZORRO, ICE PLANET, DROP ZONE, M.A.S.H., STAR TREK and continues to produce, direct, and photograph with EuroPacific Films. Michael is a member of the French producer’s guild, AFPF, the DGA, and the Visual Effects Society. 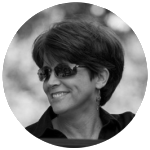 As an independent producer, Marian creates movies for the US and European market with EuroPacific Films, LLC and has been in the entertainment business for over 25 years. Political thriller L’ENGAGEMENT 1.0 is playing in French theaters, French/American co-production KILLING UNCLE ROMAN is in post-production, and THE ASSIGNMENT 2.0 is in development. As a professional Hollywood stuntwoman and stunt coordinator, Marian has performed stunts in many of the top grossing movies: MOCKINGJAY PART 2, CATCHING FIRE, ANCHORMAN 2, RESERVOIR DOGS, THE TERMINATOR, BASIC INSTINCT, PEARL HARBOR, BATMAN RETURNS, THE NUTTY PROFESSOR, and many more. 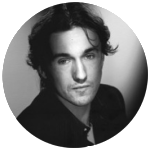 Stephane Guenin is a recognized French Director, President of the French Producer’s Guild, AFPF, and member of the SACD and the ARP with over 10 years’ film and related business experience. Mr. Guenin began his career path as an entertainment attorney in Paris after receiving a PhD at Paris Pantheon-Assas Paris II. He initially worked in film marketing and branding including GOLDENEYE and RONIN prior to migrating to film production with the development of several short films. In 2003, he wrote and directed his first feature film entitled THE 7TH LIE, released theatrically in 2005. Mr. Guenin is a Co-Producer with EuroPacific Films and one of the founders of Cinéma Résistant, a growing movement of filmmakers striving to make internationally recognized artistic movies in all genre. Austrian Co-Production Partner – indiepool e.V. indiepool e.V. is an association based in Vienna, Austria, founded by director/producer Barbara S. Müller and producer/production manager Björn Franck. Their film releases include Alles an mir (2010), Florian & Florian (2012), Neonlichter (2014) and Nebenan (2016). The award-winning short film Neonlichter was accepted into several high-profile film festivals, including the Istanbul International Film Festival (TUR), SOHO Film Festival (USA) and the Internationale Hofer Filmtage (GER). Arcady Bay Entertainment is the production company of David Paterson and under this banner he wrote and produced the film Bridge to Terabithia, starring Josh Hutcherson and Zooey Deschanel, which grossed over US$135 million worldwide. His debut feature film Love, Ludlow was a festival darling and an official selection at the Sundance Film Festival, where it was nominated for the Humanitas Prize. His next production is The Great Gilly Hopkins, which will be released in October 2016 through Lionsgate, and the film stars Kathy Bates, Glenn Close, and Julia Stiles. The current iteration of Belvedere Film was founded in 1999 and is now run by Univ.-Prof. Dr. Robert Dassanowsky, who is a voting member of the Austrian-American Film Association, the European Film Association and the Academy of Austrian Film. He sponsors the Elfi von Dassanowsky Award at the Vienna Independent Shorts Film Festival and was honored with the Decoration of Honour in Silver for Services to the Republic of Austria. Univ.-Prof. Dr. Dassanowsky continues to maintain Belvedere’s mission to produce high quality independent features, shorts, and documentaries.